we expect our direct mail pieces to arrive in the mail boxes of the people on our mailing list. but this is heavily dependent on the quality of our mailing list. Correct and validate addresses before mailing . Remove people who have moved from your mailing list. Make sure apartment/suite numbers are included as part of the address. Incomplete addresses can be deemed ‘non deliverable‘. Keeping your data accurate and up to date saves you money on printing and mailing costs. 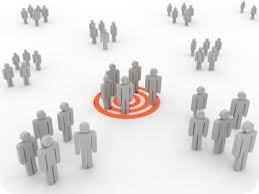 Use a targeted mailing list to ensure you only mail to people who are likely to respond to your message/product. But 4th of July week, isn’t just about BBQs and celebrations with friends and family; 4th of July week is also known for being one of the biggest, and busiest shopping weeks of the year. A large part of the 4th of July Consumer spending, starts in our mail boxes, with special offers and discounts that are mailed to us through direct mail in the weeks leading up to the holiday week. So… we’re curious! What offers hit your mailbox this holiday season? Did you receive some interesting 4th of July promotions this year? If so, We’d love to hear from you! Did any particular mail pieces, grab your attention, and make you rush to the store to take advantage of a special offer? What was it about the mailing piece that captured your eye? Were there any bad mailing pieces, that were addressed to you, but had nothing to do with anything that you’re interested in?